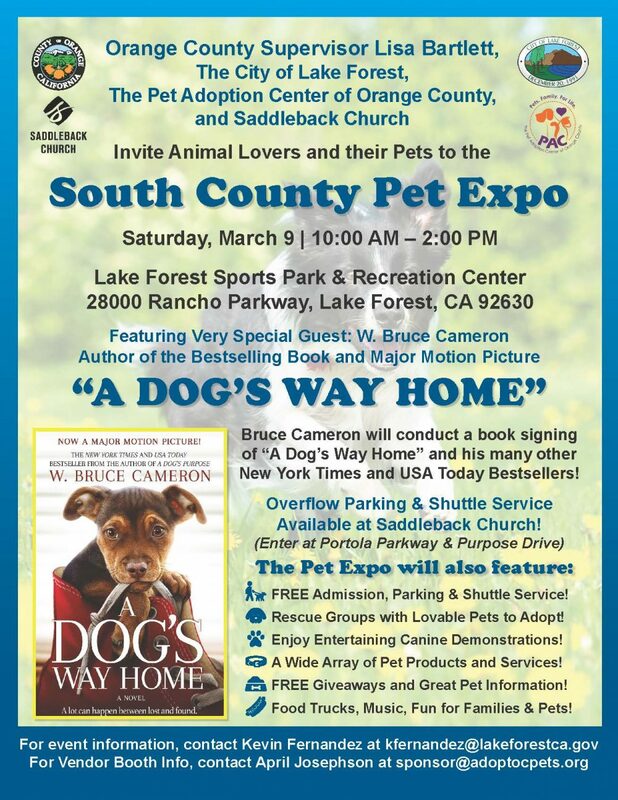 It’s time for the 4th Annual South County Pet Expo, coming to the Lake Forest Sports Park on Saturday, March 9, 2019, from 10 am – 2 pm. Sponsored by Orange County Supervisor Lisa Bartlett, The City of Lake Forest, The Pet Adoption Center of Orange County, and Saddleback Church. There will be plenty of pets to adopt, plus demos, vendors, and food. If you’re interested in a booth or sponsorship, please click here.